The latest technology in the fight to get rid of acne is the Zeno acne-clearing device, or commonly referred to as the Zeno Zit Zapper. This product claims to eliminate acne in 24 hours or less with only a few simple treatments. This hand-held zit zapping device has been reported to have amazing results, and many people are turning to it for help curing blemishes. 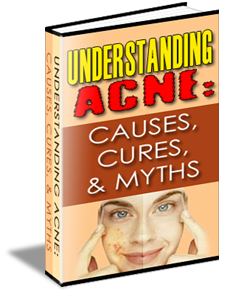 How does the Zeno acne system work? The Zeno device delivers a heat shock to the bacterium that cause acne breakouts. By exposing the pimple to a certain amount of controlled heat for a few minutes, the warmth penetrates deep into the pimple and destroys the bacteria inside. A Zeno acne treatment is administered through a disposable tip on the Zeno unit. The Zeno unit has a sensor that adjusts the level of heat based on your individual skin and circulation conditions, which are different depending on the type of pimple and where it is located. The Zeno unit also varies the treatment time based on these conditions as well. Because the technology used in Zeno is so sophisticated, Tyrell Inc. claims that most pimples will disappear within 24 hours or less with one to three treatments. Also since the Zeno unit adjusts to your skin and the specific pimple, the only possible side effect is slight redness in the treated area lasting for a few minutes. The Zeno acne clearing device is surprisingly affordable considering the technology used.There are more than one type of package available, that begin at $150. This package includes the Zeno acne clearing device, 60 treatment tips, and a wall charger. The other packages, which peak at $200, add up to 150 tips and a leather case with a mirror for easy use when traveling or away from home. The price of replacement tips is also very reasonable. You can purchase 60 replacement tips for $25 or 150 for $55. CLICK HERE for more info about prices and any current specials of the Zeno acne clearing device. Does The Zeno Acne Clearing Device Work For Everyone? Tyrell Inc. advertises the Zeno acne treatment device to be effective for people with mild to moderate inflammatory acne, which means they do not claim it to be effective for treating cystic nodules. However, many people with severe acne are likely to have pimples characteristic of mild to moderate acne in addition to cystic nodules. The Zeno acne zit zapper is by no means a miracle treatment for clear skin. It might work well for one person and do absolutely nothing for the next. For this reason, Tyrell Inc. offers a money-back guarantee, should an individual find he or she is not getting the desired results. Zeno might work best if used in addition to another type of treatment and, of course, if you have a proper skin care routine. CLICK HERE for more info about the Zeno acne clearing device. 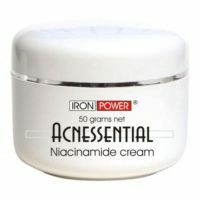 To learn more go to Zeno Acne Treatment and at Acne Alternative Treatment also Best Acne Treatment.